Wooden letters on walls are all the rage, every body seems to have a letter somewhere in their house. If you know someone who doesn't...do them a favor and buy them the letter of their name and decorate it. You can pick up wooden letters at your local craft store and either paint it, decoupage it or as I did hot glue random buttons all over it. 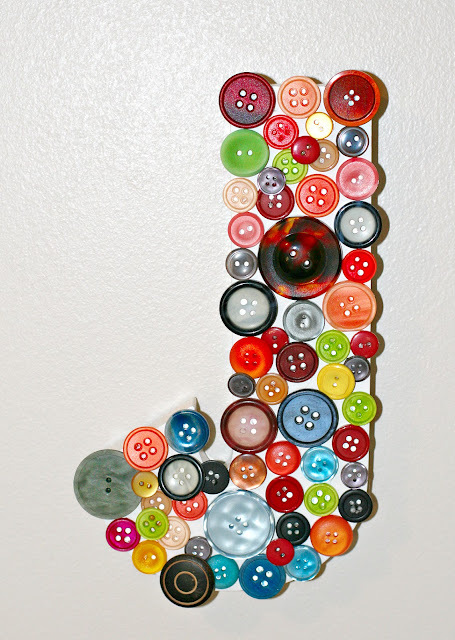 This letter was made for a crafter; it's a fun and a inexpensive gift!